Driven by the undeniable growth in demand for bandwidth of private and public cloud data centers, 25G Ethernet over a single lane has become the new trend for sever-to-switch interconnections. And the increasing requirements of higher speeds in data centers have enhanced the adoption of 25G switch, which is the new buzz in recent years. In this post, a simple analysis of 25G Ethernet switch market and comparison of commonly used 25G switches will be explored. As we know, before 25G technology advent, the existing options are one lane for 10G, four lanes for 40G, or four lanes at 25Gbps for 100G. The 25G technology meets the specification for existing module form factors like SFP28 and QSFP28, and allows for a breakout connection between 25G and 100G without changing the port on the front of many 100G switches. Besides, driven by the high speed and bandwidth, various network switch manufacturers have announced their new 25G switches in recent three years, just to occupy more market shares. 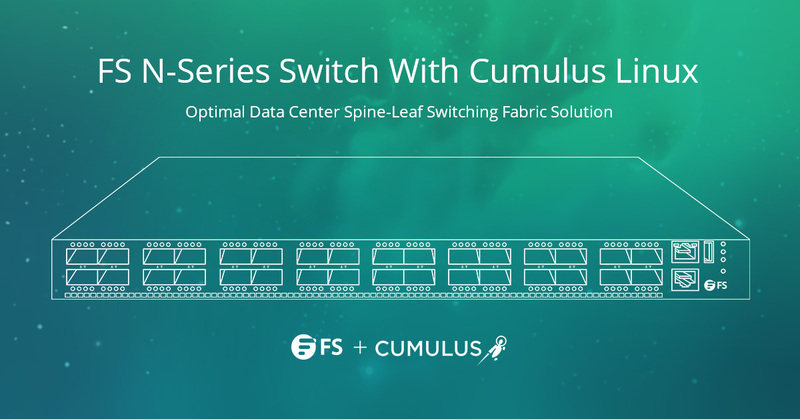 FS.COM introduced N-Series spine/leaf 25G/100G switch for cost-effective data center solutions. At the same time, 25G SFP28 transceivers, DACs, and AOCs also spring up like mushrooms. 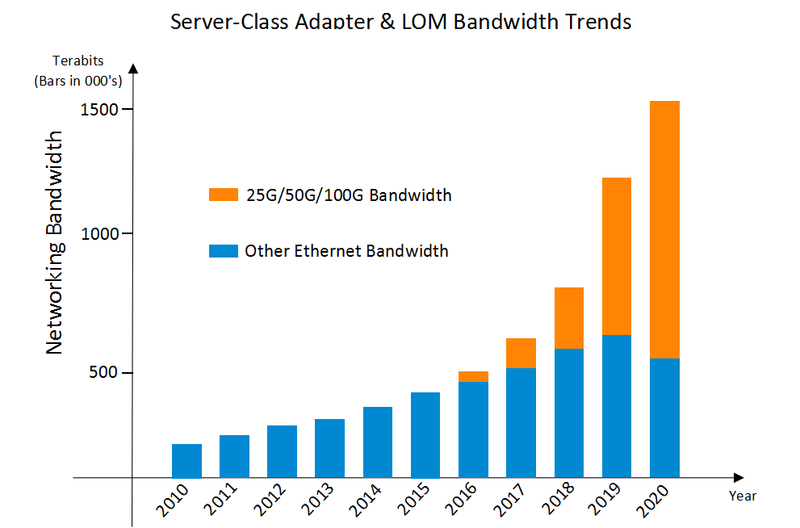 According to a study by Dell’oro, Ethernet switch revenue will continue to grow through the end of the decade, with the biggest sales forecast for 25G and 100G ports. From the research we can see, at least in the next three years, 25G/50G/100G bandwidth will continue to grow and occupy half of the total network bandwidth, which in turn enhances the development of 25G switch market. Though challenges still exist for 25G Ethernet, it’s not denied that the trend for ToR 25G switches cannot be blocked. As have mentioned above, 25G SFP28 switch market is booming due to the growing speed and bandwidth as well as switch vendors promotion. Then how to achieve the optimized network performance with existing 25G Ethernet switches, and control the total investment at the same time? 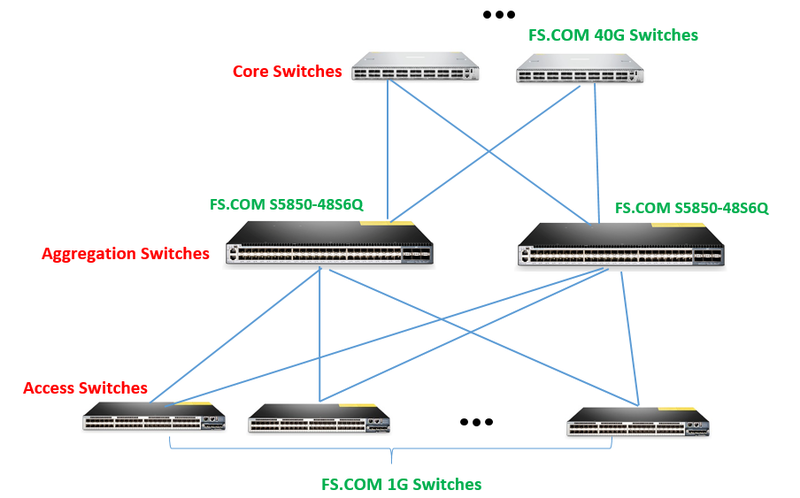 Firstly, let’s take a 25G network switch comparion among the commonly used ones. All the 25G SFP28 switches listed in the table have the same port configuration: 48 SFP28 ports and 6 QSFP28 uplink ports. And there are ToR/Leaf switches. 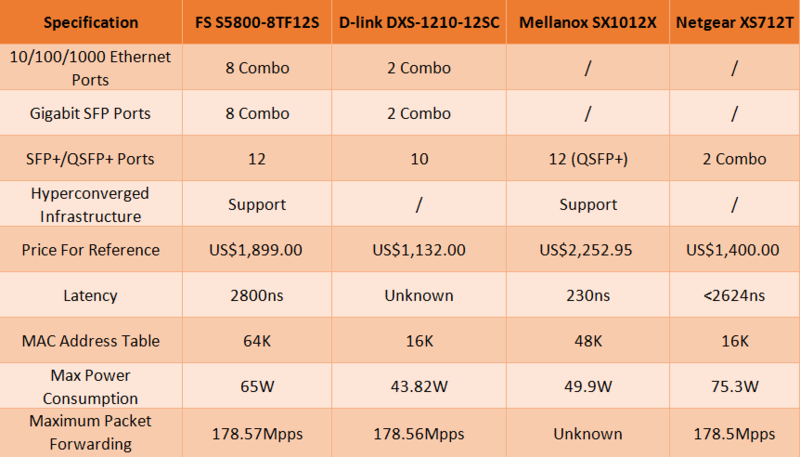 Usually 25G SFP28 switch is often used for switch-to-server applications, as for how to realize this, please read the article: How to Use 25G Switch for Switch-to-Server Connection. 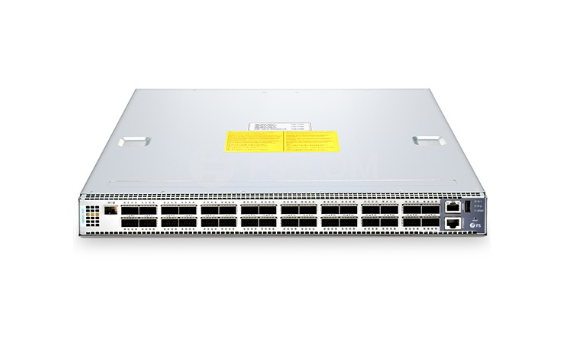 For choosing ToR 25G switch, if you have no limited cost budget, Cisco 25G switch maybe a not bad choice, because except for the expensive price, it has high-level performance and configuration as well as its good reputation. All these make Cisco switches are perfect for data centers. 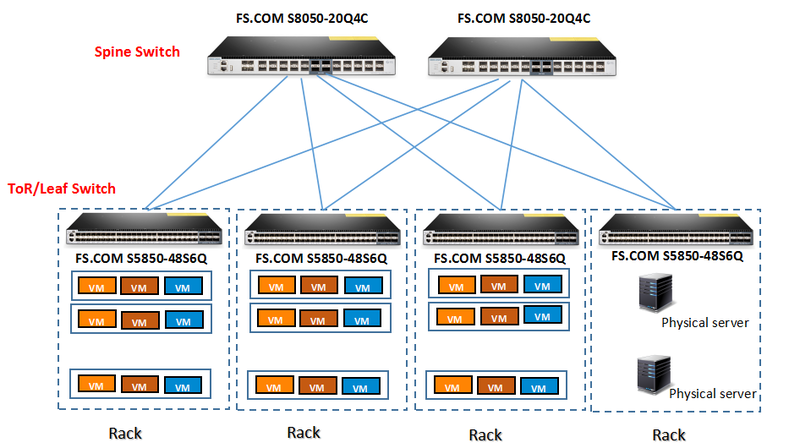 Of course, other 25G SFP28 switch vendors like Dell, Brocade and Mellanox also provide good options for migration from 10G, 25G to 50G and 100G networks. However, for those who have a tight budget or do not pursue brand, a more wise choices is to buy 25G switch like FS.COM N8500-48B6C. This switch supports ONIE installer for 3rd party network operating systems and compatibility with SDN (Software Defined Networks) via OpenFlow 1.3.11. And it also supports the advanced hardware based VXLAN feature to support over 16M virtual networks, making it a suitable option for cost-effective data center solutions. 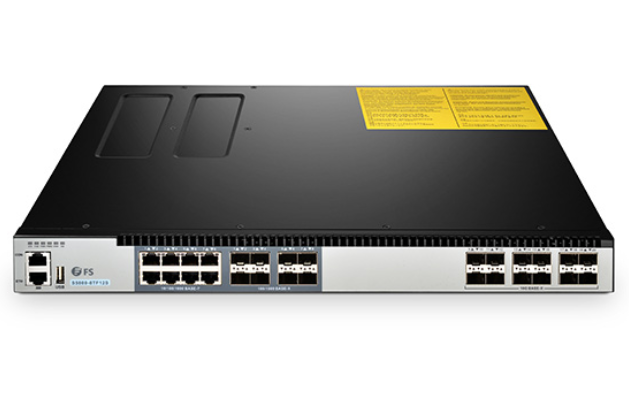 25G switch offers a more convenient way to migrate to 100G network. Because it reduces the numbers of cables and switches needed in network designs, which in turn decrease the CAPEX and OPEX. Facing with the fast evolving 25G switch market, are you ready for it? This entry was posted in Data Center Switch and tagged 25g ethernet switch, 25g switch, sfp28 switch on December 28, 2017 by Chloe Wang. Gigabit managed switch with VLAN has become a preferable choice for enterprise and SMB networks over the years. 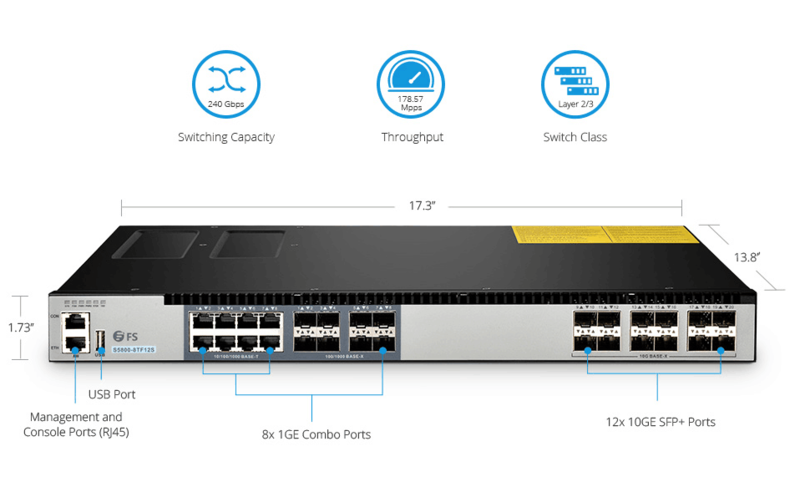 With the greatest level of management and control, gigabit managed switch opens a door for network administrators to create a fully optimized network. Moreover, managed Gigabit Ethernet switch makes it possible to create VLANs and limit access to specific devices. All these features will eventually contribute to improve network reliability and levels of security. 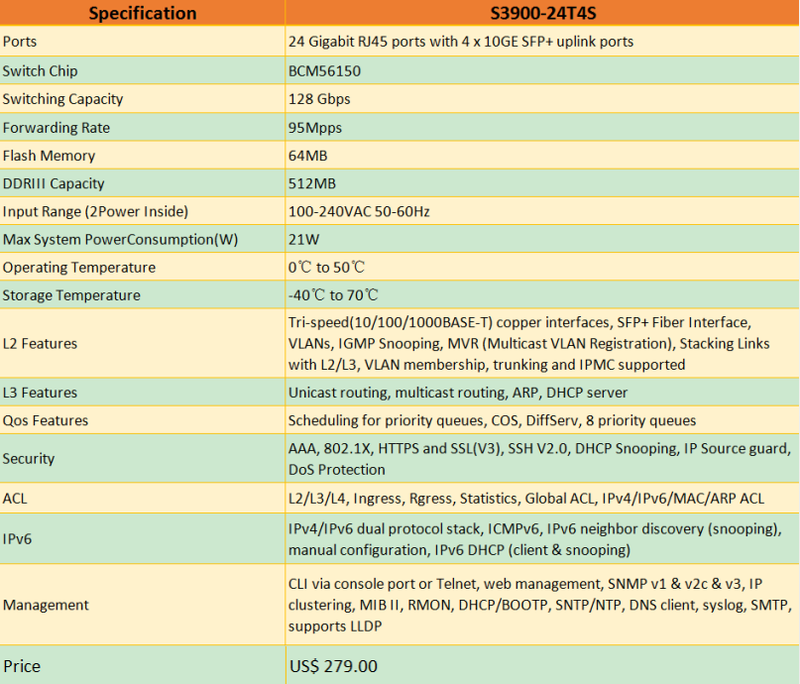 For getting cheap managed switch with VLAN capability, how to make the right choice? Here we recommend you several VLAN managed switches that well worth the money. Gigabit Managed Switch With VLAN: What Are the Benefits? VLAN has replaced traditional shared media LANs to become the choice of switching infrastructure. 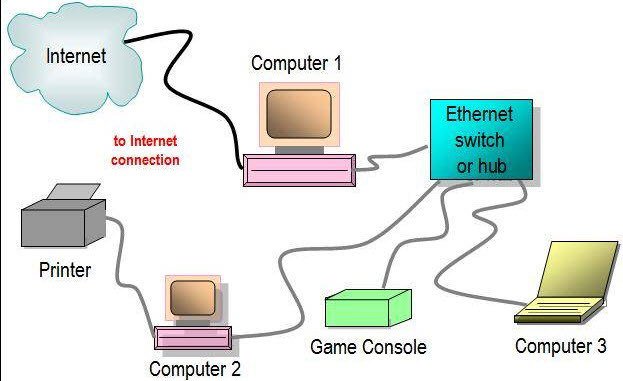 A VLAN (Virtual LAN) is a broadcast domain created by switches. Traditionally, it is a router creating that broadcast domain. 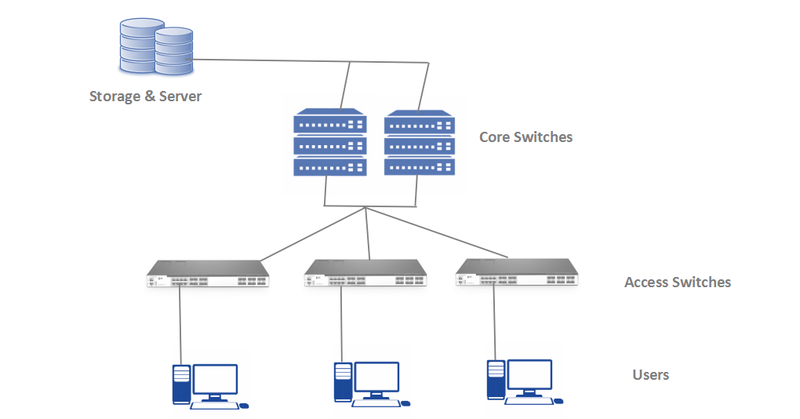 With VLAN capability, now switch can create the broadcast domain and handle traffic more efficiently. Most Gigabit managed switches now are equipped with VLAN capability – it is used to segment a switch – or a physical network of switches – into multiple, logical layer 2 networks. A gigabit managed switch with VLAN helps prevent an end device from directly talking to another that are not in the same VLAN groups, unless such traffic first goes through a router. In this way, VLAN configurable Gigabit managed switch helps decrease the calculation time, improve overall performance and enhanced security levels. The market for gigabit managed switch with VLAN capability is booming, and suppliers in the industry compete to present products with advanced features and functions. The fierce competition even brings down the cost of Gigabit managed switch. 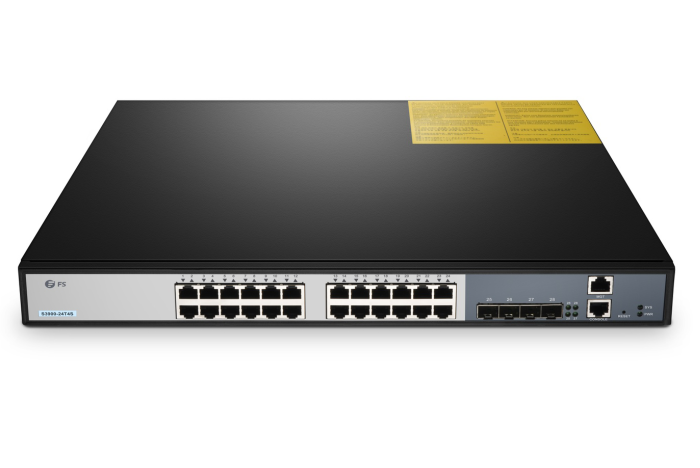 In this section, we will take a review of some cheap VLAN switch, including HP ProCurve 1810G 24, Mikrotik CRS125-24G-1S-RM, TP-Link TL-SG2424, NetGear GSM7224R and ZyXEL GS1910-24. All of them are Gigabit managed network switch with VLAN capability, we summarized their features in the following diagram. 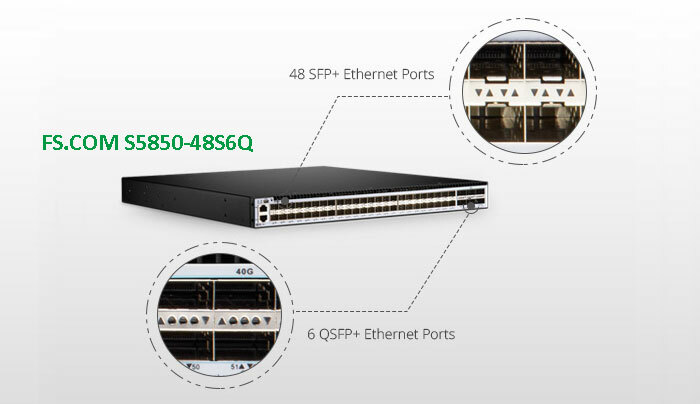 FS S2800-24T4F is a fanless Gigabit managed switch with VLAN feature that equipped with 24-port 100/1000BASE-T ports and 4 combo SFP slots. The fanless design makes it an energy-saving Ethernet access switches for small to medium-sized business, especially for those noise-sensitive open environment like labs, schools and cafes. This silent 24-port managed switch supports multiple configuration modes and flexible port combination. Which efficiently enhances data security through VLAN assignment, and VLAN trunks can be created from any port to realize port isolation- an individual switch port can be assigned to a logical LAN, then the next switch port can be easily assigned as a completely different logical LAN. Although the overall budget is important when choosing a managed Gigabit switch with VLAN capability, there are still a variety of factors to account for, such as: port configuration, switching capacity, power consumption and switch class. The port configuration and speed determines the switching capacity. So you have to consider the amount of traffic to run through this managed Gigabit Ethernet switch and select one that can accommodate all the dataflow. Power consumption is also a very important aspect as it defines the operating cost in the long run, a power efficiency switch can save you a great amount of money. Another factor is where you would like to put this switch, if it is a noise-sensitive environment, fanless Gigabit managed switch is the best fit. With increasing bandwidth requirements from applications and other services, you can unleash your network and enable maximum productivity with Gigabit managed switch with VLAN capacity. This post has compared the commonly used VLAN configurable managed Gigabit switches on the market, while provides some insights on the factors to choose the right one. Wish this would help you to make the right decision. This entry was posted in Data Center Switch and tagged 24-port gigabit managed switch, managed switch with vlan, vlan managed switch on December 15, 2017 by Aria Zhu.